If you're getting ready to play matchmaker with, cupid smiley is the perfect icon for you. 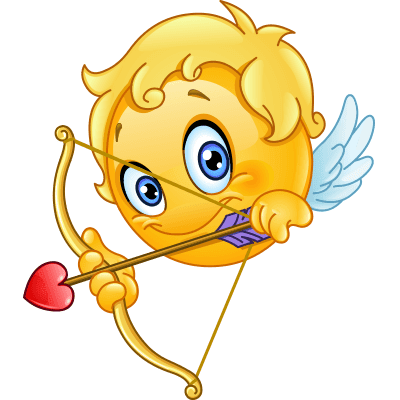 Let your pals know that love is in the air when you share this emoji in your next message or a status update. Each of our expressive emoticons is unique. Just click and send it to your besties.